Xinyi-Dao training camp is a unique training experience open to all the disciples and students of the Xinyi-Dao system, and practitioners of any level not part of the Xinyi-Dao system, who do not live in the New York City and Long Island area, but want to receive direct teaching from Grandmaster Li Tai Liang. This training camp is open all year round at the Xinyi-Dao headquarters in West Babylon, Long Island. The Xinyi-Dao training camp is structured so that people of any martial arts level can benefit from participating in this camp. For beginners to advanced level practitioners, The camp will help people to build a strong Xinyi-Dao foundation, develop a solid structure and internal power, enhance mind-body connection, build body’s core engine (dantian), learn refined self-defense techniques, receive corrections on body structure, movements, and self-defense techniques, gain new insights on all aspects of the Xinyi-Dao system, and interact with Xinyi-Dao disciples and students at the headquarters. The Xinyi-Dao training camp is affordable, because the transmission of real knowledge shouldn’t be expensive. The duration of this training camp is flexible and all year round, so that people can arrange for their training according to their own schedule. This training camp is also convenient because rooms are provided for students for free at the Xinyi-Dao headquarters, therefore, students don’t have to think about transportation issue and where to stay. 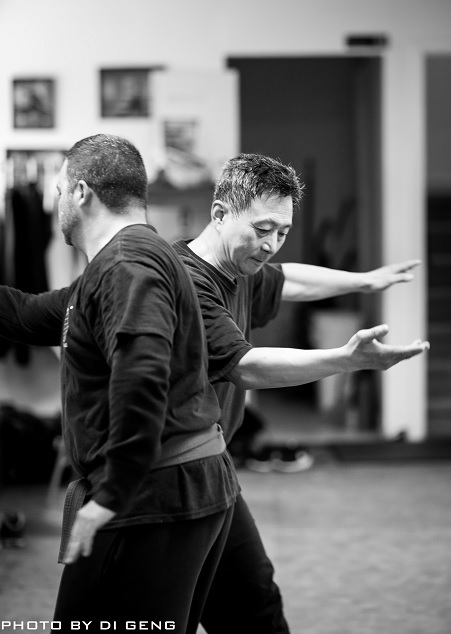 The training is conducted everyday (depending on the duration of the camp), on the first half of the day with Grandmaster Li Tai Liang, self practice on the second half of the day, and then participate in Xinyi-Dao classes when classes are held. After training on the first half of the day, students can also choose to spend second half of the day site see New York City and Long Island at their own costs. Meals is not provided for the duration of the training camp, but the Xinyi-Dao headquarters has a kitchen so that students can buy food from the supermarket and cook their own meals or they can choose to buy or order meals from nearby restaurants at their own costs. For any questions regarding the Xinyi-Dao training camp, please send us an email at info@xinyidaousa.com, or give us a call at 631-357-0459.